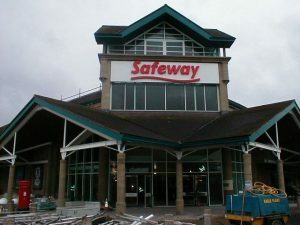 This commission was won directly as a result of the experience the team gained on the Asda projects in Swansea and Wrexham and was to rebuild a fire damaged store. Within a week of the fire, which involved demolition of one third of the store, Kajima were on site and 16 weeks later the store reopened for trading. Previously used methods of brickwork panelling were employed, although taken a stage further to incorporate complicated detailing to match the existing. GRP lookalike stonework was also used to speed up construction and achieve a watertight envelope as soon as possible. 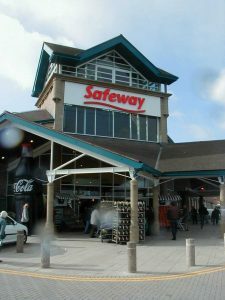 At the same time, the team had to quickly become familiar with Safeway’s ‘brand’ to use it in the newly reconstructed interior of the store.